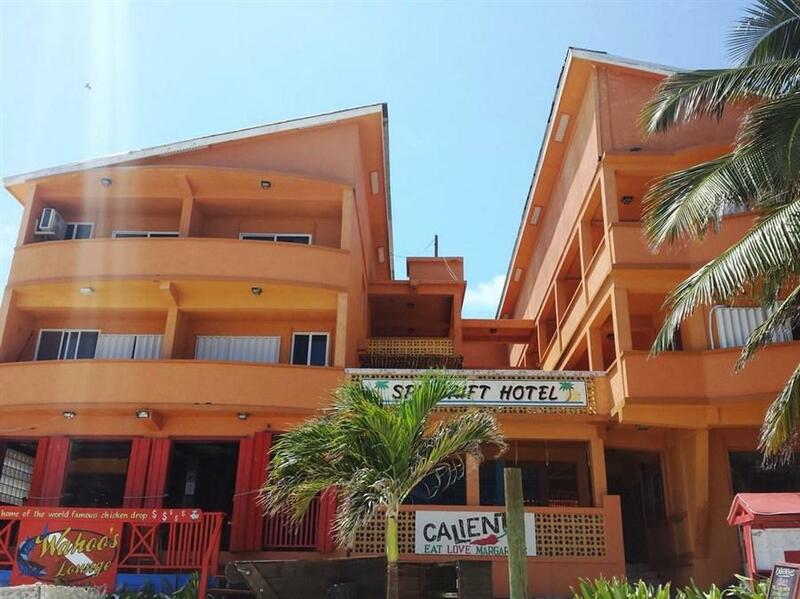 ﻿ Best Price on Spindrift Hotel in San Pedro + Reviews! This beautiful beach-front property in San Pedro features a shared lounge with sea views, as well as free Wi-Fi and a tour desk. Spindrift Hotel offers quick access to the Belize Barrier Reef. All rooms at this tropical property are air-conditioned and equipped with a private bathroom with a shower and toilet. Some rooms offer spectacular views of the Caribbean Sea. The hotel’s Caliente restaurant serves Mexican food for lunch and dinner, and guests can find other dining options within 1640 feet. The property can help guests arrange activities like snorkeling, diving and go-carting. Shopping is available within 984 feet of Spindrift Hotel, while San Pedro Airport can be reached in a 5-minute walk. Please note that the extra beds offered at this property are roll-away beds. Lovely place, great people but during the summer it was tough without a/c and unfortunately I probably had the worst room there with no air circulation without leaving my sliding glass door open all night long... which made me a little uneasy. Would I go back, absolutely but never to that room again. I probably should have said something and these people were so friendly n helpful that sure they would have given me another... so really it's on me. It was ok. Don't choose the economy room...no a/c. You'll need it. Bring your own shampoo. And no wifi in room 19. Building looks great from the outside. Safe and clean. Very close to the only good night life. We were travelling as a Father - Adult Daughter on a trip to Caye Caulker and decided on a quick day and a half in San Pedro to see Ambergris Caye. It worked out great especially with the choice of the Spindrift as it is located in a perfect location from the airport and the centre of town allowing us to walk everywhere during our short stay. The room was nice, the A/C great, and the Staff super accommodating! Of course the cost for this opportunity didn't hurt the wallet at all. Close yo everything and great for the level of Hotel. Didn't try the Resto's but they looked good and were busy. I would do a short stay here again!